We know that children are always learning when they play. But we also know that all toys are not created equal when it comes to learning. Our goal is to bring you toys that offer the most learning and the most fun – toys that both you and your children will love. Help keep young minds and bodies active, healthy and stimulated. Inspire children to learn and have fun. 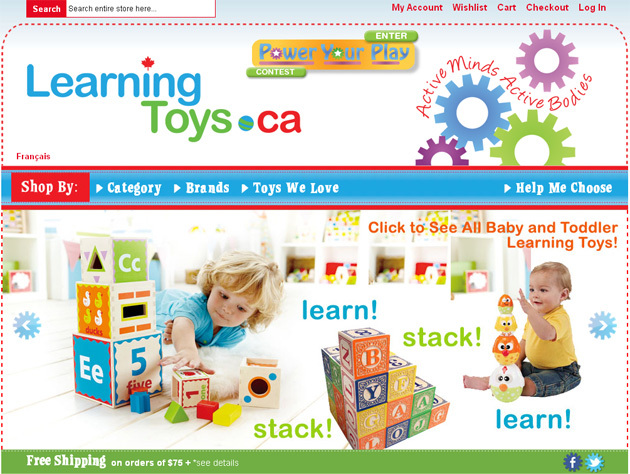 We share our thoughts and knowledge about the special relationship between play and learning – in our blog, Toying Around, and in ToySense where you will find helpful articles, buying guides and more. Our toy knowledge, which has roots in educational studies, has been mostly garnered through years of buying and selling toys to families like you and refined by observing our own children, and now grandchildren, who have spent many happy hours playing with the toys that we sell. We’re still learning. And it is still fun!